Now that smoking is banned in public places, it is the ideal time to give up smoking. The fact that you are showing an interest in the treatment of smoking by looking up the subject on this web site is the first step towards giving up smoking. 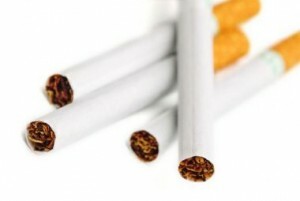 The great advantage of using hypnosis for giving up smoking is that it removes the craving for cigarettes. An important part of the treatment is learning to carry out self-hypnosis. This is taught to the patient during the treatment session and is used by the patient at home for ten minutes each day to reinforce the treatment. Most patients find that they have stop smoking after two or three sessions. Highly motivated patients will often stop after a single treatment session. You do not have to be a good hypnosis subject in order for this form of treatment to be effective in stopping smoking. However it is important that you really do want to give up smoking and that you make the appointment yourself. Between 2005 and 2014, over 85% of patients treated at London Psychotherapy and London Hypnotherapy UK successfully stopped smoking in up to three sessions. So far in 2015, 100% of patients have successfully stopped smoking in only one session. And, many of them reported that they had not had any cravings for cigarettes after treatment. David Kraft has had a lot of experience in smoking cessation. The approach that he takes is multi-modal; however, the main principle of the treatment is one of aversion. In hypnosis, David pairs the unwanted behaviour—in this case, smoking—with an unpleasant stimulus. This unpleasant stimulus can vary: normally, he suggests to patients that they feel sick and ghastly at the pit of their stomach. He will then give conditioning trials (Cautela, 1967, 1968; Kraft & Kraft, 2005) for each time of the day, pairing the thought of smoking with this stimulus. Before treatment, David will usually make a verbal contract with the client to confirm that he or she is ready to give up. This approach is a complete abstinence programme. Once the client has agreed to this, it is important to get rid of all the smoking paraphernalia—ash trays, spare tobacco, lighter and so forth—before the first appointment. The aversion therapy—also known as ‘covert sensitization’—is combined with a number of important techniques such as split screen imagery (Taylor, 1985), ego strengthening, and suggestions that any cravings will be significantly reduced or absent. This treatment strategy is very successful indeed.